AAI Guides Mike Powers, Kurt Hicks, Forest McBrian, Mat Erpelding, Andy Bourne, Coley Gentzel, Kristen Looper, Dawn Glanc, Richard Riquelme, Alasdair Turner and Jason Martin all attended the annual American Mountain Guides Association Meeting in Bend, Oregon last week. 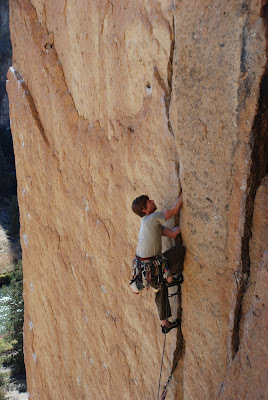 The AMGA is the primary educational and professional organization that oversees mountain guiding in the United States. 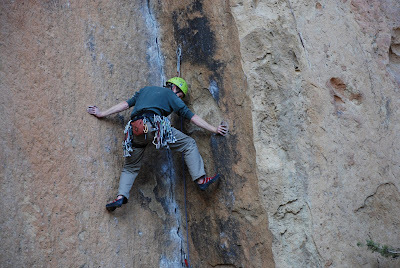 Every year they have an annual meeting wherein guides from all over the country come together to work on their guiding skills, climb together and party. 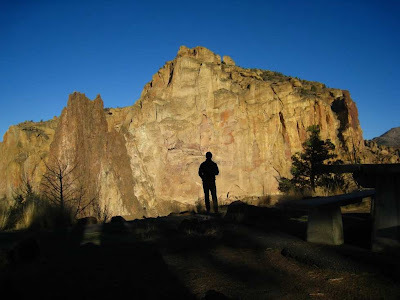 Usually these meetings are far from our home-base in the Pacific Northwest, but this year the focal point of the meeting was the world class rock climbing at Smith Rock State Park. AAI Guides were provided a number of opportunities to take specific clinics during the meeting. 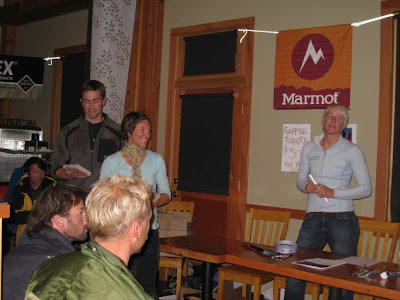 Our guides enjoyed clinics with titles like, Teaching Techniques for the Mountain Guide, GPS for the Mountain Guide, Technical Descents for the Mountain Guide, and Short-Roping for the Mountain Guide, amongst many other climbing related titles which ended with the words, "for the mountain guide." The focal point of the annual meeting is the "main event." This is a night where we all get together and partake in a combination of food, drink, slideshows, and awards ceremonies. AAI's proudest moment at the awards ceremony was when our own Dawn Glanc received the AMGA President's Award. Matt Farmer and Dawn Glanc accept the President's Award from the new president of the AMGA, AAI Avalanche Trainer, Margaret Wheeler. As the meeting was nearby and we had a number of guides around, we took the opportunity to do an "in-house" training as well. As such, our guides had the opportunity to compare and contrast the guide techniques and styles that we use with those that guides from other companies employ. This was a tremendously satisfying way to train as it allowed guides to see a number of perspectives beyond those of AAI's senior guides. AAI Guide Richard Riquelme whips onto a bolt in an effort to test a new belay technique. One of the great values of our internal guide trainings are our experiments with new techniques that have come over from Europe. 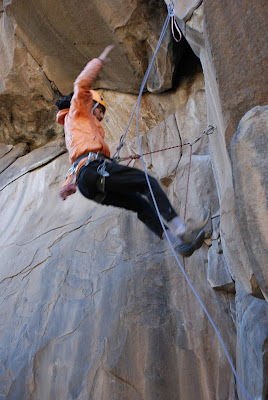 On this particular trip we spent hours playing with a technique wherein one belays a leader directly off the anchor in a multi-pitch setting. Of course, to truly see if a new technique works, we have to really try it out. And by really try it out, I mean that we had to have people whip on the system...a lot. Kurt, Richard and Alasdair all took massive intentional leader-falls onto the anchor-belay. When all was said and done, we found that the system worked exceptionally well when employed correctly. A shadow of two climbers at a belay station. AAI Guide Alasdair Turner leading a hard seam. AAI Guide Andy Bourne making plans for the night. 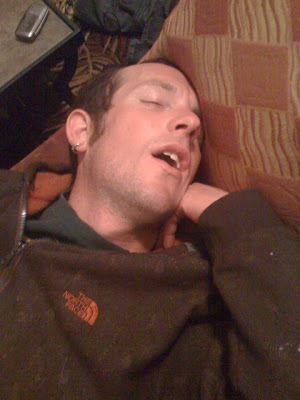 AAI Guide Forest McBrian, all tuckered out after a long day of climbing and training. Stay tuned for a blog on Friday about one of the most exciting events at the AMGA Annual Meeting, the annual Guide's Olympics!